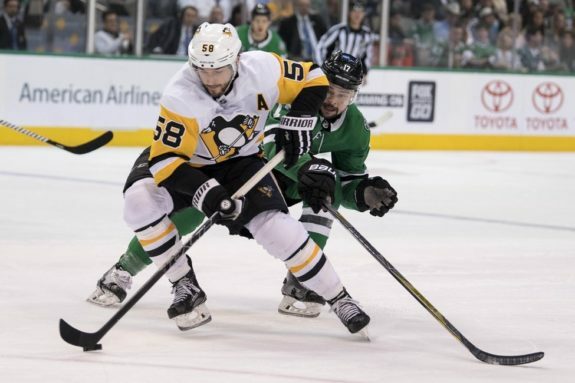 It isn’t out of the ordinary for the Pittsburgh Penguins, but after a high-scoring overtime victory against the Washington Capitals and an embarrassing 5-1 defeat to the Montreal Canadiens on home ice, they have a laundry list of problems to solve after just two games. Last year, the Penguins surrendered 15 goals in their first two games, so the 11 they’ve given up to the Capitals and Canadiens is sadly an improvement. As long as Marc-Andre Fleury is still in the league, there will always be a goalie controversy in Pittsburgh. It’s hard to argue that the Penguins made the wrong move when they decided to hold onto Matt Murray and hand Fleury over to the Las Vegas Golden Knights in the expansion draft, but when Murray allows 11 goals in the first two games of the season, doubts will surface. Murray’s save percentage is an abysmal .831 in the last two games, and while there have been a handful of goals that were a result of defensive breakdowns, there are also a few he should have saved. After the loss to the Canadiens, Murray said that he felt better and was trending in the right direction, which is good news for Penguins fans, but there isn’t much leeway for him to allow five or six goals per game before head coach Mike Sullivan calls for backup netminder Casey DeSmith. 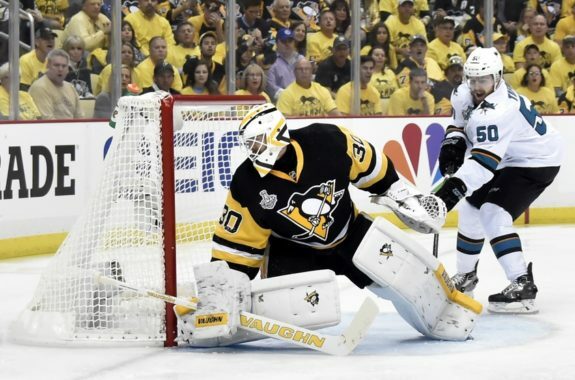 Sullivan was insistent that everyone in the room needs to be better, and considering every team starts from the net and works its way out, Murray needs to be the first to improve if the Penguins want to make any noise during the early part of the season. 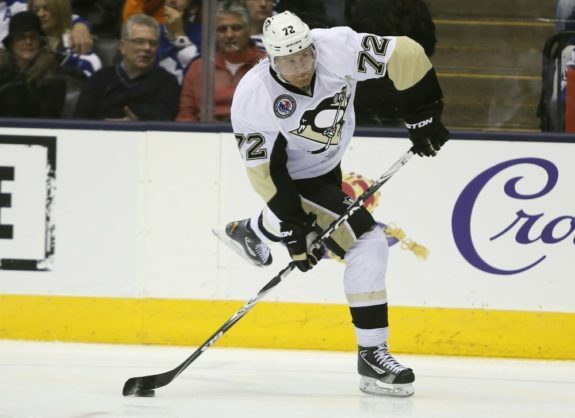 Before the season started, I noted that the Penguins have a defensive gem in Juuso Riikola. However, he has been a healthy scratch for the first two games. In return, the second defensive pairing of Olli Maatta and Jack Johnson has been terrible. The pairing has a combined minus-5 rating and zero points. Johnson, who signed a five-year, $16.25 million contract back in July has been a step slow on every shift and has yet to show much promise after being awarded such a large deal. On the other side, Maatta has never been known for his foot speed and could be used as trade fodder come deadline time, so it’s a little puzzling why Sullivan would pair him with Johnson, but it’s clear that this pairing is a liability. Look for Sullivan to insert Riikola into the lineup, or swap up some of the pairings to try and get more from these two. If Patric Hornqvist retired tomorrow, he would still be considered a Penguins legend after scoring the Stanley Cup-winning goal against the Nashville Predators two seasons ago but through two games, Hornqvist has seven shots on goal, which leads the team but he has yet to tickle the twine. 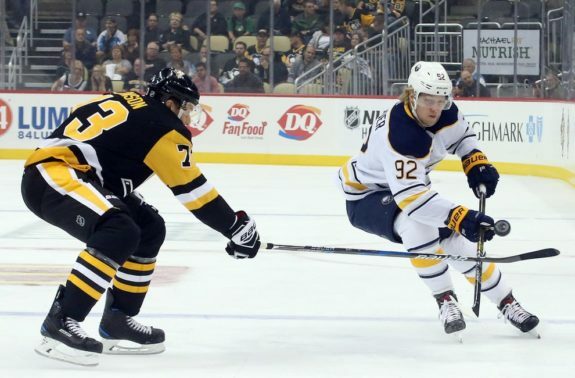 He is on one of the most dynamic lines in the NHL alongside Sidney Crosby and Jake Guentzel, and while the Penguins have scored eight goals through two games, no. 72 needs to find a way to bury the puck if this team is going to be successful. He has had plenty of chances and is putting himself in the right spots but he needs to bear down and find a way to score. Once he gets that first one, the levees could open and he could be on track for a career year.